Dock Ouest Residence Groupe Paul BOCUSE Located in the 9th district of Lyon, this residence features air-conditioned apartments and offers luggage storage services and business facilities. Free WiFi is available throughout the property and private underground parking can be reserved at an additional cost. Villa des Canuts price per day from € 137 Less than 1 km from Park de la Tête d'Or in Lyon, Villa des Canuts offers air-conditioned suites in a centrally located villa. The private bathrooms are equipped with a walk-in shower, double sinks and towel dryer. You may choose to explore Croix-Rousse, famous for its silk industry history, or the Old Lyon with its numerous monuments a 20-minute walk away.. Studio Ivry price per day from € 59 Located in the heart of the Croix Rousse district of Lyon, Studi Ivry proposes a self-catering studio with a dining area. Parc de la Tête d’Or is a 15-minute walk away and the Old Town is 3 km away. The fully equipped kitchenette includes an oven, stove and refrigerator. 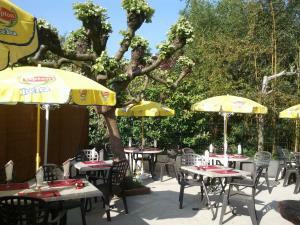 Kyriad Hotel Lyon Centre Croix Rousse price per day from € 43 This hotel is in central Lyon, in the Croix Rousse area. 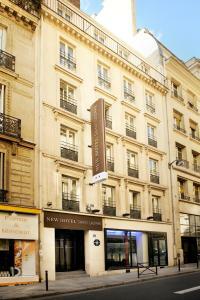 It is 100 metres from the Hénon Metro station and offers an underground car park and free Wi-Fi. Guests can enjoy a daily buffet breakfast, in the dining room or on the outdoor terrace..
Hôtel de la Croix-Rousse price per day from € 68 Hôtel de la Croix Rousse provides en suite rooms with TV and free Wi-Fi in the Les Canuts district of central Lyon. Each Croix Rousse room is equipped with a bathroom with shower or bath. Hôtel de la Croix Rousse is located just 100 metres from the Croix-Rousse Metro (line C) and across the river from the Parc de la Tête d'Or (Golden Head Park). Hôtel Valpré price per day from € 66 A 10-minute drive from the centre of Lyon and a 2-minute drive from the A6 motorway, Hotel Valpré is surrounded by 15 acres of parkland. It provides en suite accommodation, free Wi-Fi and free on-site parking. Less than 2 km from the EM Lyon Business School and the Ecole Centrale de Lyon, Valpré Hotel is located 3 metro stations from Place Bellecour..
Town of Villeurbanne (~2.9 km). 6+ accommodation units ! Town of La Mulaticre (~4 km). Town of Tassin-la-demi-lune (~4.6 km). 2+ apartments ! Town of Caluire-et-cuire (~4.7 km). 2+ apartments ! Town of Vénissieux (~5.5 km).